For more than one reason, a Croatia yacht charter is certainly one of the superlative and one of the most beautiful and sought-after yacht charter destinations in the Mediterranean. This enchanting country has everything one could look for in a summer holiday – and this is the best time to charter here. 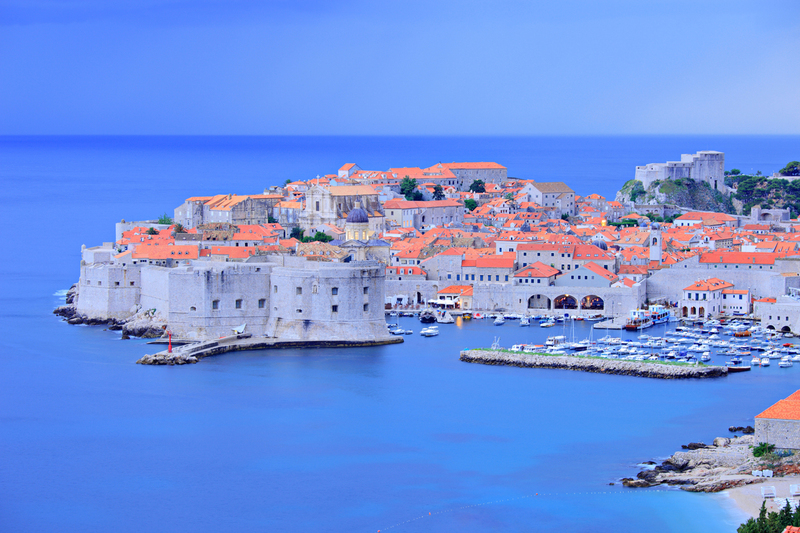 Not only does this wonderful country boast breath taking scenery and crystal clear water, a yacht charter in Croatia is also renowned for its ancient history, vibrant culture, friendly hospitality and plenty of activities to engage in. So you can get the best of both worlds – culture and natural beauty. There are many ways to enjoy this fascinating country, but the best way in absolute is by experiencing on an unforgettable Croatia yacht charter along the long and island strewn coastline. With a wide selection of Croatia charter yachts on offer, including both motor yachts and sailing yachts, and both superyachts and mega yachts, charter guests wishing to explore the Eastern Mediterranean and Adriatic Sea are sure to find the perfect vessel that best suits their needs. As well as the more luxury high end charter yachts Croatia also has many catamarans and gullets to choose from. For additional information and a professional service please, contact an experienced broker. Undoubtedly, Croatia is a fantastic choice when it comes to Mediterranean holidays and the best way to enjoy this beautiful country to the fullest is to venture into a Croatia luxury yacht charter of your lifetime. There is no better way of getting around its thousands of breath-taking islands and islets, enjoying the comfort and luxury of a five-star accommodation and service, than aboard a luxury yacht. Imagine falling asleep with a sound of romantic Croatian music coming from a nearby village, and wake up the next morning to the sound of the sea and a spectacular view of the Eastern Adriatic coast; with your favourite breakfast already waiting for you! Croatia is located in Southeast Europe on the eastern side of the Adriatic Sea. Croatia boat rentals often incorporate surrounding countries into their itineraries. 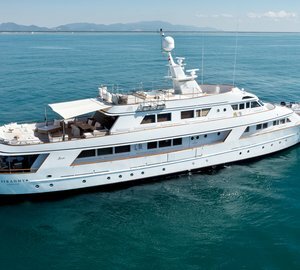 Guests could embark/disembark in Venice, Italy or start/finish their Croatia yacht vacation further south in Montenegro, or for holidays of longer duration, continue further south to Turkey or Greece. The best time of the year to visit Croatia is at the either end of the European summer season. May/June or September/October are the least crowded months, with July and August being the busiest. The enjoyable Mediterranean climate is characteristic to the entire Adriatic coast, providing fabulous sailing conditions to cruise around the hundreds of enchanting islands and islets of Croatia. Croatia represents a perfect combination of warm Mediterranean sea-side with cooler forests and mountains, boasting eight awe-inspiring national parks, including Brijuni, Kornati, Krka, Mljet, Northern Velebit, Paklenica, Plitvice Lakes and Risnjak. Of course, there are many other nature and historical parks also well worth a visit! Sailing its Mediterranean waters aboard a Croatia charter boat you might be lucky enough to come across the rare Mediterranean monk seal or swim with the dolphins. There are about 4300 plants and about the same amount of animal species that make up Croatia’s vast green land. Rich in cultural heritage and history, Croatia boasts of countless museums, galleries, churches and monuments, many of which are on the UNESCO World Heritage List. The Diocletian Palace found in the medieval Split is amongst the most important works of late-ancient architecture. Dubrovnik and its Old Town is located on the Adriatic Coast in Southern Croatia, features gothic, renaissance and baroque churches, monasteries and fountains. Dating back to the Hellenic era, Trogir is renowned for its charming roman churches and the magnificent Trogir Cathedral. St. Jacob’s Cathedral in Sibenik (built 1431-1535), also part of the UNESCO World Heritage List, was projected by three architects, and represents a beautiful and harmonious stone building. Discerning guests on a Croatia luxury yacht charter will appreciate the mouth-watering, authentic Croatian cuisine. In addition to the early proto-Slavic roots the continental cuisine was influenced by Hungarian, Viennese and Turkish, with the coastal region being represented by Mediterranean influences of the Greek, Illyrian, Roman, Italian or French. You could choose to have the Chef prepare a fabulous meal, using only the freshest produce and ingredients and enjoy it dining al-fresco or in the luxurious setting of your yacht’s dining room; or, you could simply stroll down the romantic cobbled streets of one of the charming towns and savour the local specialities, surrounded by the vibrant Croatian night-life. Seafood, including cuttlefish, squid, octopus, shrimp, prawns, lobsters, is prepared in various ways, accompanied by fresh vegetables, olive oil, prosciutto and fantastic selection of Dalmatian wines. Due to its popularity as a Mediterranean summer destination for superyachts, there is a fantastic selection of Croatia charter superyachts available. To make sure you are provided with the best boat to suit your needs, please contact our experienced yacht charter brokers here. Based on your specific requirements, style and budget we will be able to provide you with a selection of the best motor yachts and sailing yachts. Because of Croatia’s popularity there is usually a very good selection from all types of private charters including the largest mega yachts and superyachts right down to smaller crewed luxury yachts whether they are catamarans or gullets. Whatever your budget and whether you wish to have a vacation just with your friends or just with your family, or both, a luxury yacht charter in Croatia is one of the Mediterranean’s most impressive and most popular sailing highlights and somewhere you are bound to remember very fondly for the rest of your life.